Jason collagen fleece size of 50x50 mm. Jason collagen fleece is 100 % pH neutral material with minimal resorption. 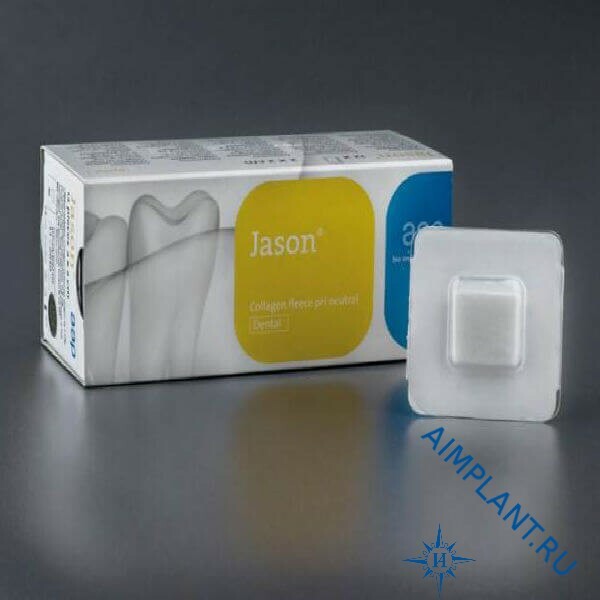 Jason collagen fleece – highly effective natural resorbable collagen sponge. Jason collagen fleece is applied for preservation of the wells or closing of the recession. The sponge contributes to the formation of a blood clot and healing of the wound.